Sunny is the perfect every day companion. Get a snug fit with Sunny’s elasticized topline. The feather-light ultra-flexible grooved sole makes it easy to fold up a pair, pack and go. 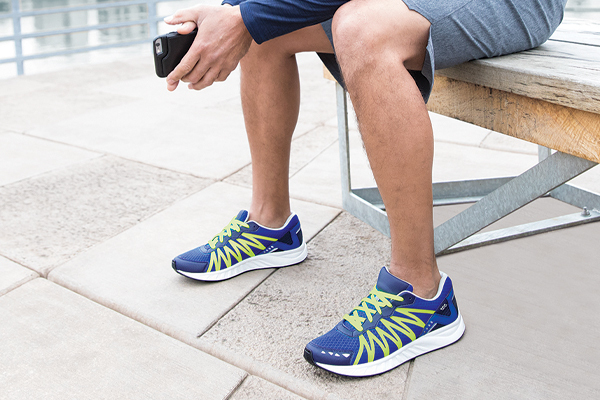 A removable foam footbed and shock-absorbing TRIPAD® Technology provides all-day comfort. Heel Height: 0.75". This item features a removable footbed. An EVA super light sole and a removable SAS Tripad® Technology helps give Sunny a light and airy cushion to your step. An elasticized topline and moccasin construction surround the foot with soft tumbled leather. A classic hand-laced upper offers a timeless style while a variety of colors and a grooved sole add modern flair. SAS Removable Comfort Foot Bed: A foam foot bed topped with striped microfiber and shock-absorbing SAS Tripads® for extra comfort. Genuine Moccasin Construction: The hand-laced moccasin construction wraps soft supple leather completely around your foot and allows greater flexibility. New EVA Superlight Sole: New EVA sole with a multi-flex groove design that distributes maximum underfoot flexibility. Constructed with EMAX® technology, this high-performance outsole has a microcellular cushioning system developed for high-abrasion and shock absorption.